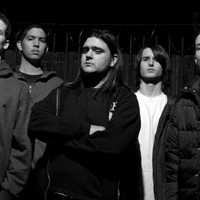 Hailing from Carmichael, California this five-piece band does not compromise the veracity of their music for anyone. Deeply influenced by all things extreme and thrashy, FATE has directed their intense admiration of metal into the focus needed to create music for a new generation of Metalheads! Speed, ferocity, and the ability to write viciously energetic songs will surely set FATE apart from other acts as they prepare to take the metal world by storm with their Metal Blade Records debut Vultures. 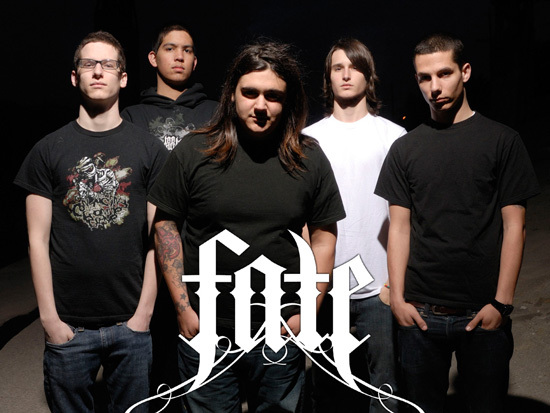 Formed in September of 2003, the members of FATE were still in middle school when they decided to start the band. Eager to be a part of the scene they had so much respect and adoration for; FATE began booking and playing shows in the greater Sacramento area including gigs at infamous underground venues. Come 2005 the band recruited Kyle Fishman on guitars, who was only 14 at the time, and started writing new material. This new material was so strong that it resulted in FATE being invited to play the Sacramento stop of the Van’s Warped Tour. After playing the Sacramento stop of the Van’s Warped Tour FATE began booking out of town shows their own mini tours. During this time FATE had 2 shows a week for about a year, which is pretty good considering all of the band’s members were still in high school. 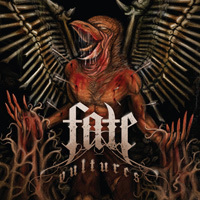 FATE continued to develop a name for themselves and were getting offers for bigger and better shows including dates with bands like Bleeding Through, Unearth, Amon Amarth, Through the Eyes of the Dead, and Animosity. 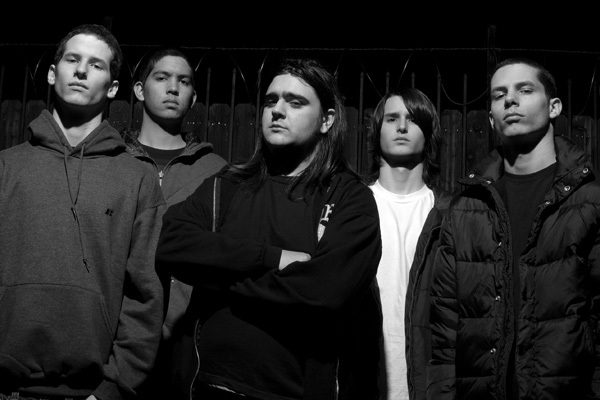 Enter 2007, FATE has their first ever deal with metal label heavyweights Metal Blade Records and are picked up by the Artery Foundation Management (The Devil Wears Prada, Team Sleep, Whitechapel, The Warriors, and Dance Gavin Dance just to name a few). The band has also landed endorsements with Krank Amplification with more deals already in the works.